The western boarder of Abruzzo is only 80.5 km (50 miles) east of Rome. Abruzzo is characterized by medieval landmarks such as Bominaco, all of which are scattered across its relatively scarce population. This is the perfect destination for those wanting to escape the hectic city while having easy access to beautiful surroundings, nature, and lush lands. Berti Hotels is situated at the seaside Silvi Marina near Abruzzo's most populous city, Pescara, and is one of the most well known wedding venues in the Abruzzo region. Berti Hotels offers a beach wedding complete with excursions, photography, stylists, and everything you would need to have the perfect destination wedding. 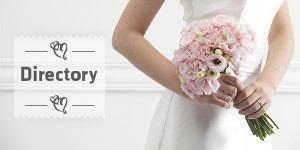 Visit http://www.weddingsabruzzo.com for more information. A French flare while remaining quintessentially Italian is what makes the Aosta Valley unique. The Aosta Valley boarders France and Switzerland, and has a large French speaking population. Spectacular Alps and Chateau's surround the valley, with Mont Blanc dominating the skyline. At the heel of Italy's boot, Apulia possesses one of the richest histories of Italy. Peculiarly drier than much of Italy, Apulia's coastal cities have a Greek-like flare to them. Much of this region is known for its grape and olive business, plus spectacular beaches. Frequent locations for destination weddings include Leece, Bari, Otsuni, and Cisternino. In Bari, Velo Service offers sightseeing by rickshaw. Why not take a ride down to Basilica di San Nicola, Trani, or one of many beach possibilities? See http://www.veloservice.org/sito/en/ for more information. Located to the left of Apulia, Basilicata has access to the Tyrrhenian Sea of the south and is a major wine producing region. Basilicata is the most mountainous region of Southern Italy, known for its fragrant cuisine. Great ideas for excursions are local winery visits and a trip to the regions mysterious cave dwellings. If you're interested in having your wedding in Basilicata, Sextantio Le Grotte Della Civita offers affordable "boutique bedrock" style rooms in the heart of Matera. Marina di Ginosa is a worthwhile visit, offering peaceful shores about 50 km from Matera. Visit http://www.mrandmrssmith.com/luxury-hotels/sextantio-le-grotte-della-civita for more information. Calabria forms the toe of Southern Italy's peninsula, right before Sicily. Calabria houses some of Italy's most fabulous beaches, especially around Scilla and Tropea. These beaches tend to be less impacted by tourists than their Amalfi counterparts. Calabrian cuisine is a unique treat and is often preserved in oils. Any couple who plans on having a destination wedding in Calabria has many options for venues. For a fun outing in Calabria while in Tropea, head over to Gelateria Tonino which is notorious for their selection of amusing flavors. Also if you have the chance, be sure to visit the Parco Archeologico di Scolacium. It's easy to feel overwhelmed by the amount that Campania has. From the Amalfi Coast to Naples and Pompeii, Campania is the perfect destination wedding location for those desiring exciting excursions and Neapolitan cuisine. The island of Capri is a luxurious romantic getaway from the mainland that you will treasure. It's inexpensive and quick to take a ferry from Naples or Positano to Capri. Breathtaking landmarks like the I Faraglioni rock formations and canyons are a must see. The 45 km stretch of the Amalfi coast is contrastingly laid-back in atmosphere to that of its hectic Neapolitan counterpart. Multiple venues are available directly among the villas of the coast. Bologna and Modena are Emilia-Romagna's most popular city destinations. This is one of Northern Italy's most wealthy regions, with Renaissance influences apparent. Make sure to visit the Mausoleo di Galla Placidia in Ravenna, one of the oldest mosaic monuments. With an interior just as spectacular as its exterior, the Basilica San Vitale is another Ravenna must-do. Villa's are affordable and a romantic option for the destination wedding in Emilia-Romagna. Villa Bologna is one such exquisite villa and their website can be found at http://www.villabologna.com/events/venue/weddings/. The villa was built in 1745 and features a historic Maltese garden. This region of Northern Italy boarders Slovenia and Austria, giving it a unique language called the Friulian Language. Luscious snow-capped mountain ranges, pine forests, and vivid lakes are characteristic of Friuli-Venezia Giulia. Located about 100 km north of Venice, Friuli-Venezia Giulia offers couples the quintessential Northern Italian experience with skiing, hiking, and fantastic cuisine. Make a trip to Trieste and witness the 19th century decadent Miramare Castle, in its full glory overlooking the sea. A short drive to the Piazza dell'Unita d'Italia will be a worthwhile decision. Dramatic landscapes are a driving force for the destination wedding in Friuli-Venezia Giulia. Home to the heart of Italy, Rome's 4 million inhabitants make this region one of Italy's most populous. Aside from the limitless things to see in the ancient city, the countryside of Lazio is exquisite. Casina di Poggio Della Rota is a villa 30 minutes outside of Rome that provides services and 5 star accommodation. You can access their website for more information at http://www.casinadipoggiodellarota.it/. If you have a sweet-tooth, Rome is the epicenter of fantastic gelateria's. One of the most praised is Gelateria Salaria Gelato d'autore. Located at Salaria 260, 00198 Rome, this place has high quality gelato's for competitive prices. Liguria is a coastal region bordered by France to the left. Its access to the sea has strong influence on its cuisine, with seafood dominating the dining experience. Favorite destinations in Liguria are Boccadasse, Genoa and Cinque Terre. Romantically dramatic cliff-side villas dominate much of the coast in Liguria. Beach weddings are a common option in Liguria. Other options include historical castles and villas. Such a castle offering wedding services is the Castello di Quassolo in Savona, which is open from April until October. See http://www.castellodiquassolo.com/eng for more information as well as a virtual tour. Lombardy sits underneath Switzerland, and is perhaps best known for being home to Milan. This is the second most populous region in Italy, and it may also be the perfect one for your destination wedding. Much of Lombardy is dominated by the Alps which overlook Po Valley. Because of its mountainous and accessible location , recreation is a viable option when marrying in Lombardy. Milan boasts the best nightlife in Italy, so take advantage of that if you are in the city. There are thousands of historic sites to see in Milan. Fantastic opportunities with that special someone would be the Duomo Cathedral and L'Ultima Cena. Lake Como is a majestic sight to behold and also a popular choice for destination weddings. Villa del Balbianello is among the best venue on Lake Como. See http://villabalbianello.com/ for more information. Marche offers endless hills lined with historical buildings of the past. The scarce population of the region allows for a more laidback atmosphere with a taste of antiquity. A key city of the Renaissance, Urbino is a popular destination in Marche. Urbino's Ducal Palace is a UNESCO World Heritage Site and teems with romance. Gabicce Mare would make for a lovely beach-side ceremony with its clear and deep blue waters, and its close proximity to Urbino. The region is also known for its local pasta. Be sure to try the vincisgrassi, a local favorite. Above the heel of Italy lies Molise. This region is scarcely populated and would be perfect for a relaxing atmosphere during your wedding. Molise cuisine is rather unique and features signatures such as Risotto alla marinara (seafood risotto), Carciofi ripieni (artichokes with capers and anchovies), and more daring visceral dishes for the gourmand. Molise is a fantastic location for a ceremony in the countryside of Italy. The region also possesses some of Italy's greatest chapels like the Santuario dell'Addolorata di Castelpetroso. The Grand Hotel Europa is in Italy's small historic town of Isernia and provides a venue to get married in Molise. Visit http://www.grandhotel-europa.it/en/dove-siamo/molise-011.html for more information. Below the Aosta Valley, Piedmont has a French flare of its own. Known as the "Tuscany without tourists", this region is nearly surrounded by the magnificent Alps. Enjoy views of the surrounding villages as you tour Sacra di San Michele, an otherworldly religious site dating back to the 10th century. La Villa Hotel in Torino offers a ceremony among their local church or the gardens of the palazzo. See http://lavillahotel.net/weddings.htm for more information. Piedmont offers a tremendous amount of historical sites to see. The Palazzina di caccia of Stupinigi in Turin is an 18th century royal house residency that is fit for a king. Also while in Turin, visit the Museo Egizio (Egyptian Museum), which contains the world's second largest collection of Egyptian artifacts. Sardinia is unique from mainland Italy because it is relatively isolated and is the second largest island in the Mediterranean Sea. Sardinian culture is ancient, with customs dating back thousands of years. Sardinian cuisine will make your destination wedding here worthwhile in itself. The experience in Sardinia will be a treat for all of your guests, with beautiful beaches, lively people, and a number of venues to choose from. Hotel Del Pini offers a private beachside venue for your wedding. Their hotel is located among the Coral Riviera, one of Sardinia's most prized locations. Visit http://www.hoteldeipini.com for more information. The atmosphere of Sicily is distinctive and wedding worthy. Interested in ancient ruins and fantastic beaches? Then Sicily is your perfect destination wedding location. One of Sicily's most famous historical sites is the Temple of Concord, built in 167 BC and pristinely preserved. Ready for a beach day? The clear waters of Rabbit Beach make it Sicily's top rated beach. Gorgeous landmarks and warm climate is not all Sicily is known for. Sicilian cuisine has influences from Arabia, Greece, and Spain, making it an infusion of Italian exoticness. Trentino-Alto Adige is the perfect location for a wedding in a region that has a Bavarian charm about it. This region is bordered by Austria and Switzerland, and used to be a part of Austria-Hungary. The Dolomites are a popular destination by ski-enthusiasts and sightseers alike. The cuisine and language of Trentino-Alto Adige has Germanic influence and attracts even Italians for its unique heritage. The Tuscan countryside is perhaps what comes to mind when most people envision a destination wedding in Italy. Tuscany is home to the birthplace of the Renaissance - Florence. With its major wineries and cuisine, Tuscany is an alluring option for almost anyone. Michelangelo's David is one of Florence's top sightseeing attractions, located at the Piazza della Signoria. The world's most prolific artwork can be seen at galleries across Florence, like the Galleria delgli Uffizi. 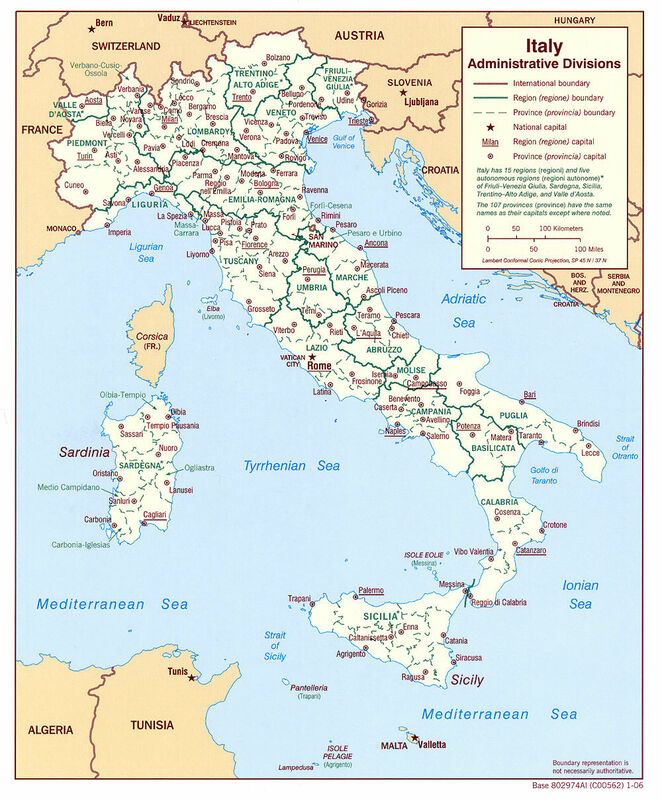 Completely surrounded by Italian regions and lacking exterior influence, Umbria is a prototypical Italian region. Umbria's notoriety as a historical region reigns from St. Francis of Assisi. Some of Umbria's most breathtaking landmarks are attributed to St. Francis, including the Basilica di San Francesco. Perugia, the capital of Umbria, is known for its truffles. For an exciting outing, consider going on a truffle hunt with Tartufi Bianconi. Visit www.tartufibianconi.it for more information. La Rocca Orvieto is a country resort that facilitates destination weddings in the countryside of Orvieto. While in Orvieto make sure to visit the Orvieto Cathedral, a 14th century Roman Catholic cathedral that houses some fantastic artwork such as Signorelli's Antichrist. Visit http://www.laroccaorvieto.com/en for more information on your wedding in Umbria. Veneto is a lover's paradise, complete with a network of brilliant culture renowned by all who visit. Taking a gondola down the Grand Canal, St. Mark's Square and the Doge's Palace are some of the highlights that romantic Venice offers. Venice is remarkable, but Verona and Vicenza add to the concoction of Veneto's grand experience. Hotel Villa Michelangelo offers destination wedding service and packages at their stunningly grandiose villa in Vicenza. Visit http://www.royaldemeure.com for more information. Vicenza also houses the world's sole surviving Renaissance theatre, the Teatro Olimpico. Find out more about getting married in Italy in our Italian Wedding Guide or browse our Italian Wedding Directory to start planning your dream wedding.